Today, I'm over at Maureen's blog talking about how Babywise is such a big picture thing. The hard work in the beginning can be tough, but the benefits make it so worth it. 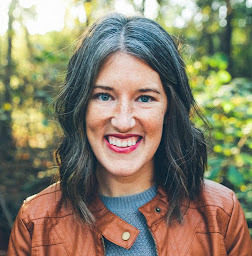 I'd love for you to head over to her blog and read the rest! 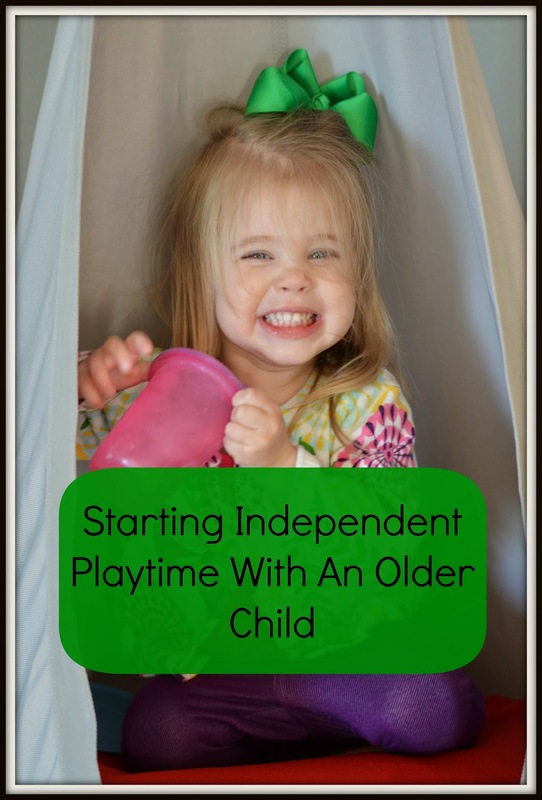 Emily is sharing about independent playtime on my blog. I was just talking about this with Reese yesterday. Although Duke does play independently in our home, it's not something that I've carved out and made a structured activity. I loved reading this post on getting started late. Enjoy! With both of my children I started independent playtime when they were very young. First I started with them on a playmat in their bedrooms and I'd sit in the same room but out of their sight for just a few minutes at a time. Slowly it progressed to longer time and eventually they moved to the pack and play. I would set a timer and they'd play happily for 20 minutes two times a day, then as they got older, 40 min one time a day. I have seen many benefits to independent playtime. It really has helped my children play well on their own, entertain themselves, and especially not have issues with separation anxiety. Since I am a stay at home mom I am with my children majority of the day, everyday. The only time they really are without me is when we go to church and they have their own bible classes with other children their ages. Independent playtime really helped them be able to go to these classes and not cry for mommy the entire time :) I think it helped them have their own sense of self and they didn't need to rely on me for every area of their lives. With both of my children we had to take an extended break from independent playtime. When my son was 19 months old my mom moved in with us for four months and then we moved into a new home. We took about five months off from any independent playtime for him as our lives were just in total upheaval for awhile! During that break I saw a difference in him. He was much more clingy and did not play as well on his own for extended times. With my daughter we had to take a break from it when she was roughly 2 years old. By that point she was in room time in our playroom but we finished an area in our home to become a new playroom and during that transition time there was no where to have her do her room time in a consistent space. Again, I saw a change in her during this break. She was much more whiney and "needy" and just overall unhappy. Have an area where they can SAFELY play in your home. Our playrooms don't have large pieces of furniture that could fall over (and if we do, we have them secured to the wall). We are careful to make sure there are no cords or other dangerous type things and I'm mindful of the toy selection in the area. No choking hazards and all age appropriate toys. I also install a baby gate on the door to the playroom and keep the actual door open so I can hear better too! Choose an area where you will be able to hear them but where they cannot see you. If they can see you then it makes it more difficult for them to truly play on their own. Choose a good time of the day that benefits you both. You don't want to do it when they are tired or hungry. And you also want to pick a good time of the day so you can get things done! For us, we get home from dropping my son at school at about 9. My daughter and I spend time together and at 10 we go potty then I take her upstairs to the playroom for her room time. She's happy and content and just had "mommy time" so it's a good time for her to have time for herself! Use a kitchen timer. I have a cute pig one that I keep upstairs. I put it near the play area where the kids can both see it and hear it as a reminder that the TIMER decides when the play time is over. Start off in the room with your child. In both situations for us it was a new area to the kids and I wanted them to be comfortable there. So I stayed in there with them and got them very used to the space. This also gave me a chance to see if there were any safety concerns I may have missed! The more comfortable they got with the room, the less I interacted with them while we were in there. The first day I truly start the room time I let them know that they are going to be playing and I show them the timer and set it for only 5 min. Then I stay where they can see and hear me but not in the actual room with them. Yes. Both kids cried the entire 5 min. But I just gently reminded them that when the timer goes off, playtime would be over. After a few days of the 5 min with me in sight I would set it for 5 min and be out of sight for a few days. Then bumped it to 10 min. 15 min. Etc. The goal is 40 min but most days with my schedule 20-30 works out best. While they are in their independent playtime I make sure to do something quietly. Our playroom is over the kitchen so I don't go in the kitchen and clean up. Instead I go to my room, across the house, and do things there during this time. When it is time for our independent playtime I always take the kids to the bathroom prior to taking them to their room time space. When we get in the room I also am mindful to show them some options for things to play. I try to offer a different variety of ideas. One day I may say "here's the lego table to build something" or "why don't you have a party for your stuffed animal friends?" Etc. This helps guide them in what to do rather than just dumping them in the room and leaving! Praise like CRAZY when the timer goes off! Both of my kids start cheering and saying "YAY!" when it is done because they know the praise is coming :) I also train them to start cleaning up when they hear the timer and often by the time I get upstairs to get them they have already cleaned up their toys. I also remind them that we have a rule NOT to "make a mess" in that space. Naturally toys will be played with and somewhat scattered, but my children know better than to totally destroy the room or mistreat their toys in anyway. While it wasn't easy to adjust the kids back to playing independently, it only took a couple of weeks to be back to our full block of time. Staying consistent is key (isn't that the truth for anything related to parenting?) so I try to make sure we get independent playtime 3-4 times a week. I know it will be especially beneficial with a new baby joining our family this summer! My two year old has roughly 20-30 min one time a day of independent playtime and my 5 year old has roughly an hour or so when he wakes up from his nap. I know I will have to readjust the schedules some once the new baby comes but I am thankful to have children who will play so well on their own so I know I will be able to nurse the new baby and give the new baby the attention he or she will need without being interrupted! As soon as I got independent playtime back rolling with my toddlers I saw ALL the benefits return! Both kids were overall happier. They were less dependent on me for their sole source of entertainment. They adjusted well during times when I would leave them (babysitters, church class, etc). And they truly enjoyed the time playing on their own! My life also benefitted from the established time to myself. I felt less stressed, able to better get things accomplished, and had more energy to really give them better quality mommy time during our playtimes together! For more about the benefits of independent playtime and how to establish it from a younger age you can read this post!